Set Sail for Guided Fishing! Corpus Christi and North Padre Island make for a fishing paradise. You don’t need to go out to sea for some great fishing spots. In the area, you can find opportunities to fish on the bayside, in the surf, off a pier or out at sea. There is a variety of species fishing including trout, redfish, flounder, red snapper, black drum, tuna, marlin, shark and many others. Before you head out to the waters, make sure you have a fishing license for anyone older than 17. You don’t need to complicate things to enjoy fishing. The easiest place to go fishing at is right on the beach. Simply head out to the beach and cast away. Two other easily accessible options are the Packery Channel Jetties and the Bob Hall Pier. The Packery Channel Jetties are a short walk for The Gulfstream Condos and are a very popular and active fishing spot. Bobo Hall Pier allows fisherman access to fish that don’t come close to shore without having to get on a boat. There is a small fee and if you don’t have your own fishing gear there are vendors who will rent you everything you need. On the other side of North Padre Island you have access to Laguna Madre. To enjoy bay fishing you can wade into the water, cast from the shore or rent a kayak. Get your sea legs ready for a guided fishing trip with Saltwater Keith’s Guide Service. Reel in some redfish, speckled trout, flounder and black drum. It’s what’s for dinner! Southbound Fishing Charters provides fishing adventures for all levels of anglers, including children and families. The Captain is an area native and knows the local waters well. 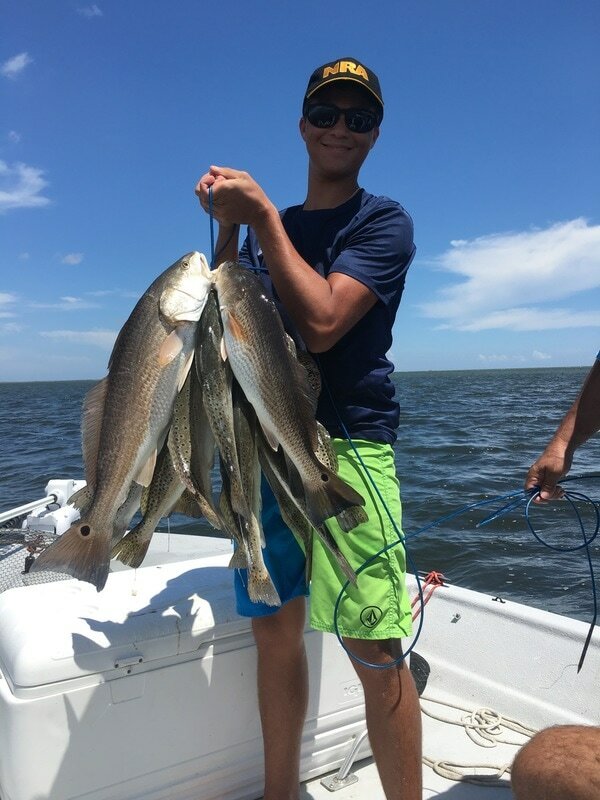 Catch a feast of speckled trout, redfish and flounder in Upper Laguna Madre, Baffin Bay, Landcut and Corpus Christi Bay. Enjoy saltwater bay fishing in the waters of the Texas Coastal Bend with A Fishing Fantasy. These waters produce abundant trout, redfish, drum and flounder that you can cook up in your Gulfstream kitchen. A guided tour can take you to the best spots for a great catch!